Quality for a $100 Visa Prepaid Card or Visa Virtual account, by mail-in rebate, when you purchase of a set of four (4) GEOLANDAR M/T ™G003 tires, between April 1-30, 2019. Or, get a $60 rebate when you buy a set of four (4) GEOLANDAR H/T G056™, GEOLANDAR A/T G015™, AVID Ascend GT™, or ADVAN Sport® A/S tires. Or, qualify for a $50 rebate with the purchase of four (4) GEOLANDAR G055™, AVID Ascend®, or Tornante tires. Yokohama tires are designed to perform better, keep you safer, and take you further, and the GEOLANDAR M/T G003 handles the toughest off-road conditions, while delivering better stopping performance on wet pavement, longer tread life, and a quieter ride than many comparable tires. The GEOLANDAR H/T G056 is the perfect highway tire for crossovers, SUVs, and light trucks, providing all-weather traction and reduced tread noise, while the GEOLANDAR A/T G015 gives you the traction you need when the pavement ends—including mud and snow. The AVID Ascend GT is a next generation touring tire, with asymmetric design and TriBLEND tread compound for all-season confidence. Performance automobile owners will appreciate the handling, quieter ride, and wet traction of the ADVAN Sport A/S. Advanced compounds contribute to the longer tread life and year-round confident wet and dry traction of the GEOLANDAR G055, one of the most popular tires available for crossovers, SUVs, and minivans. 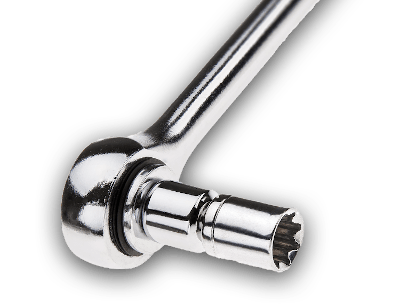 The AVID Ascend has tread block bridges to reduce tread movement for even wear and reduced noise. 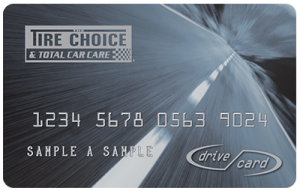 Advanced 3D sipes deliver true all-season traction, while advanced compound technology contributes to a low rolling resistance for better fuel efficiency and long tread life. *Subject to credit approval. 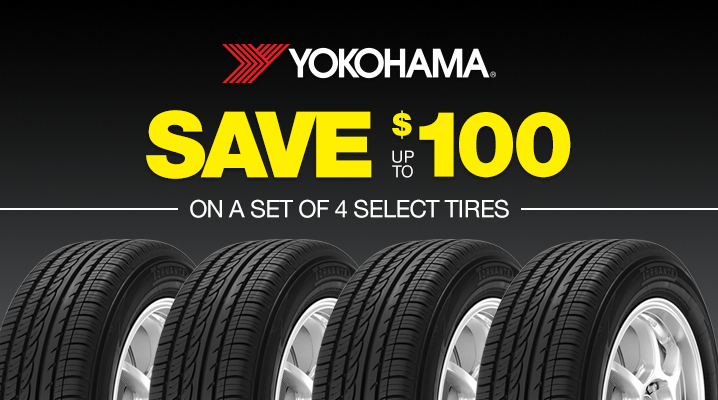 Valid for qualifying Yokohama tire purchases made between 04/01/19–04/30/19. Limit two redemptions per household, customer or email address. Purchase must be four (4) tires for a single vehicle. The required invoice for a second redemption per household, customer or email address must show purchase of an additional set of four (4) tires for a different vehicle than the one referenced in the first redemption. Redemption requests must be postmarked by 04/30/19.